Dear Honourable Minister Lai Mohammed, Greetings and congratulations on your recent and well deserved appointment as Nigeria’s Minister of Information. You may recall that we met on the set of ‘Politics Today’ in May of 2011 soon after I was interviewed by Deji Bademosi and just before you were interviewed. Your exact words were “What I will be telling Nigerians is that what we met on ground is such that we are paying for the sins of the last administration…..One of the reasons for the fuel scarcity was the inability of the last government to make adequate provision for fuel subsidy”. My candid take on your message to Nigerians is that it is an abdication of responsibility on your part and does not project you and the government you represent as being responsible. Government, as you very well know, is a continuum. 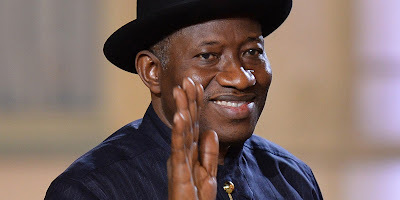 One government takes over from where the other stopped and to say that an action in December of 2015 (six months after ex President Jonathan handed over to the incumbent on May 29th, 2015, ) is the fault of the last President, is to confer super human powers on Jonathan. To prove to you that it is wrong to blame the former President, I will quote the words of the incumbent President. A month ago, President Buhari, while speaking to the Nigerian community in the Iranian capital, Tehran, said “I believe if you are in touch back at home, you would have been told that already there is some improvement in power”. Those were the words of President Muhammadu Buhari in Tehran on November 25th, 2015. You, Honourable Minister, also boasted about the improvement in power back in August 2015, when you attributed the improvement to the ‘body language’ of the ‘new sheriff’ in town. You may recall that you said “I say it anywhere I go that even though we have not added one single megawatt to power, there has been improvement. My colleagues in the PDP will say no; that’s not true. But I maintain that this improvement is as a result of the kind of integrity that President Buhari has brought to leadership.” Now, you and I know that despite what you said about the President’s “body language”, there is absolutely no way that any action or inaction of President Muhammadu Buhari could have led to an improvement in power. Don’t you think it is a bit rich to blame ex President Jonathan for the current fuel subsidy especially given the fact that leading lights of your party resisted and rejected the ex President’s move to do away with fuel subsidy by deregulating the down stream sector of the petroleum sector? Indeed Honourable Minister, you may recall that as the National Publicity Secretary of the then Action Congress of Nigeria, you released a statement condemning the then government’s plans to deregulate the petroleum industry and remove fuel subsidy and also said that the removal of fuel subsidy was “a threat to Nigeria’s unity”. Sir, you would agree with me that it is only honourable to take the bitter with the sweet. I am reminded of my 10 year old daughter’s comments to me every time I accuse her of watching too much television. She quotes a line from the Disney movie, ‘A Bug’s Life’ in which Hopper says to Atta “First rule of leadership: Everything is your fault”. If my daughter at 10 is aware of this rule, shouldn’t a minister of the Federal Republic of Nigeria, who also happens to be over 60 years of age, and who also happens to be the official spokesperson of the current administration know this rule?